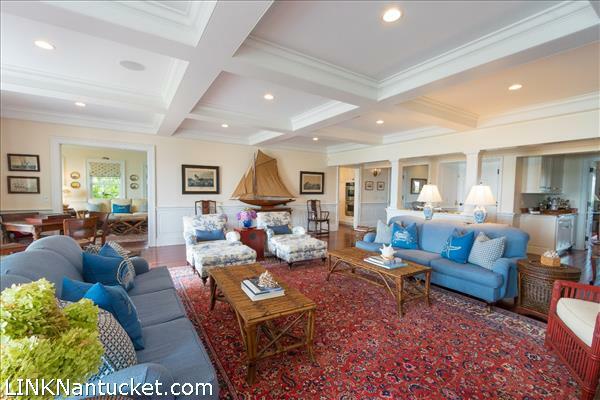 Among Nantucket’s finest waterfront residences, The Breakers at 42 Easton Street stands as an irreplaceable asset on prestigious Brant Point. 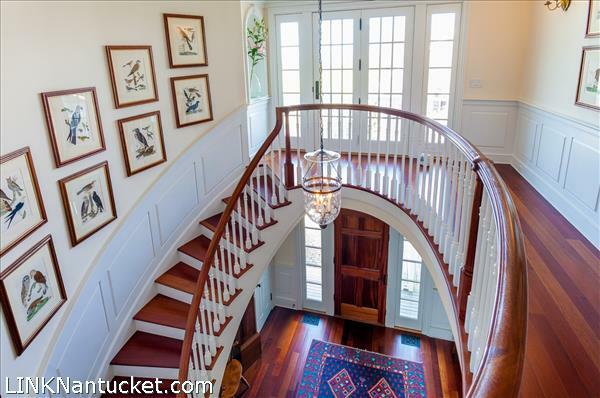 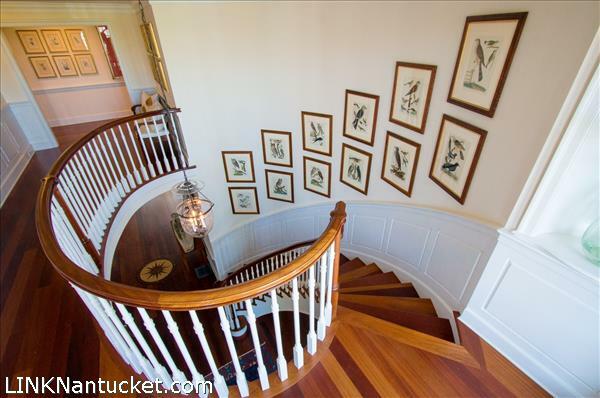 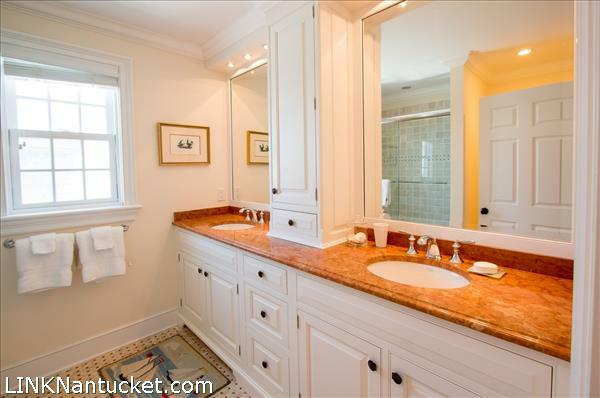 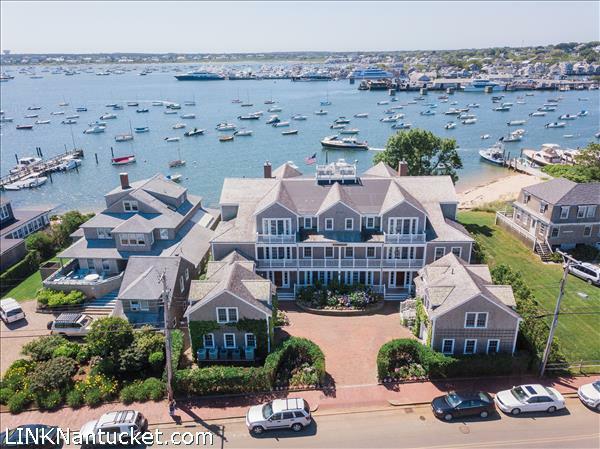 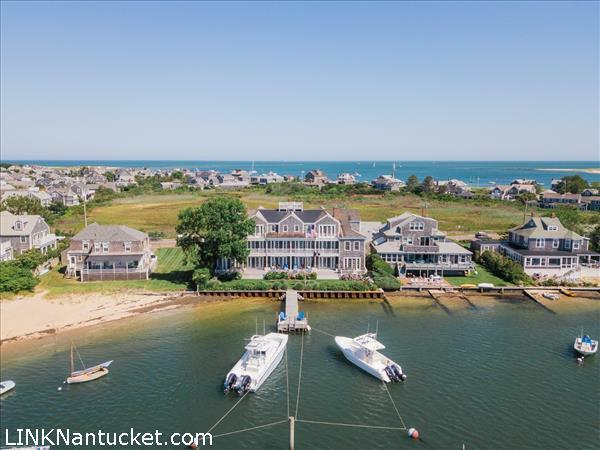 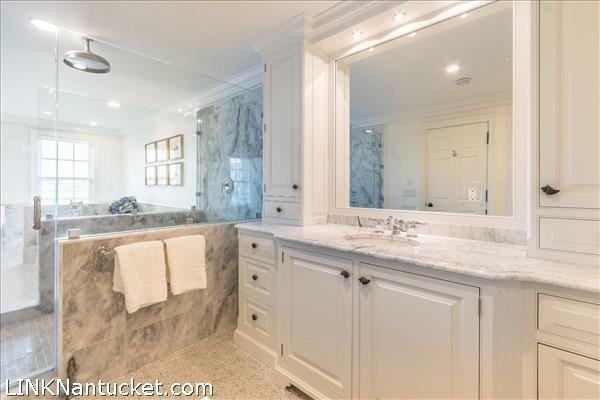 Located within 0.5 miles of Main Street with one of the few private docks on Nantucket Harbor, this property has a rarity factor beyond compare. 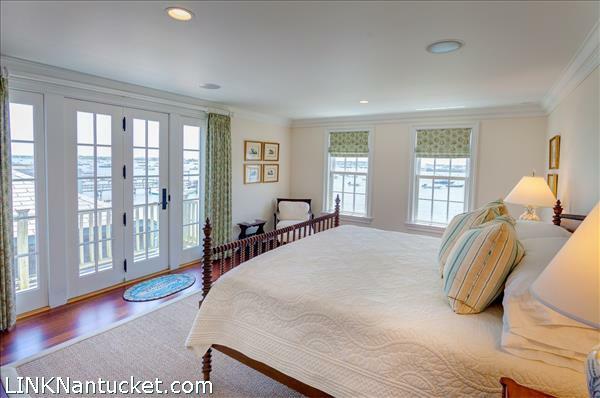 Almost every room and bedroom affords beautiful water views. 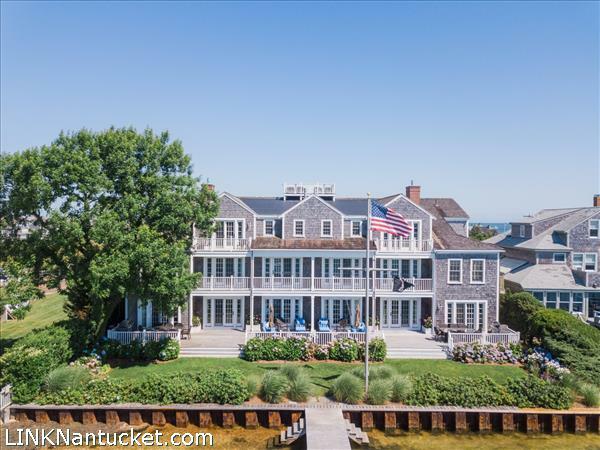 With three finished floors the house boasts 20,000+ total square feet with an expansive harbor front deck. 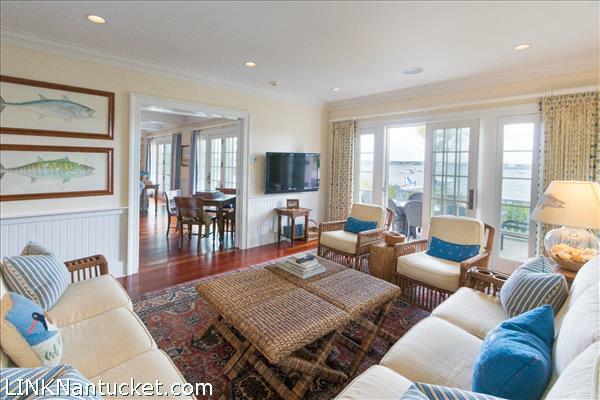 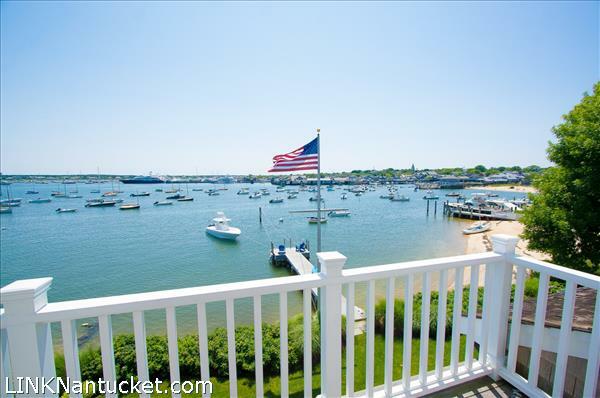 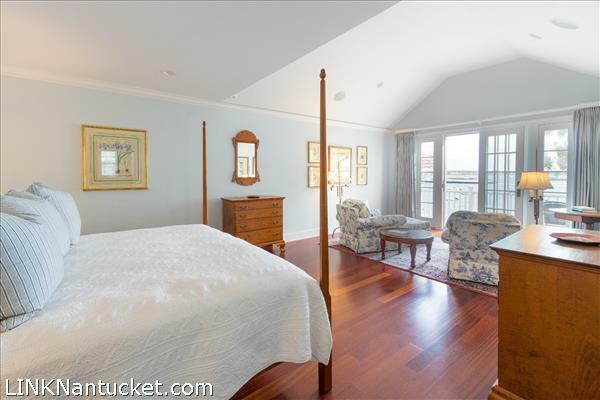 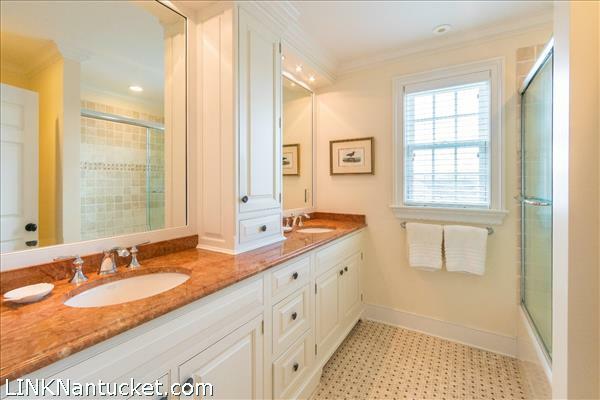 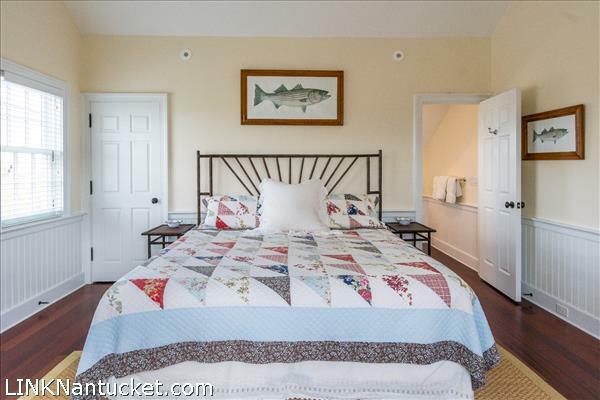 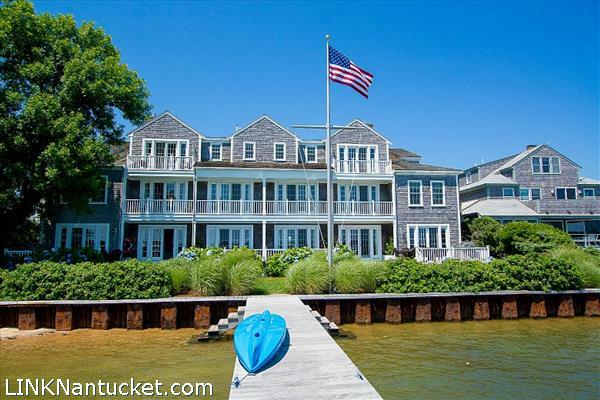 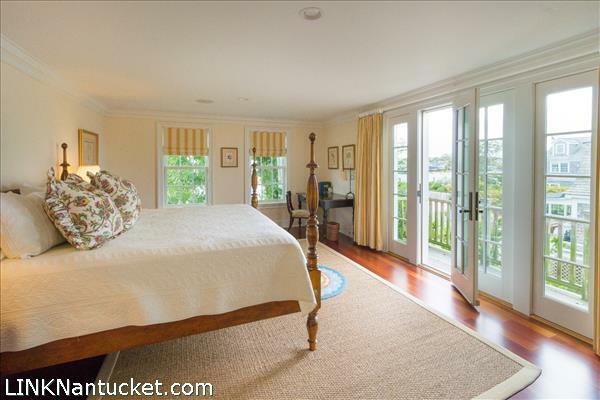 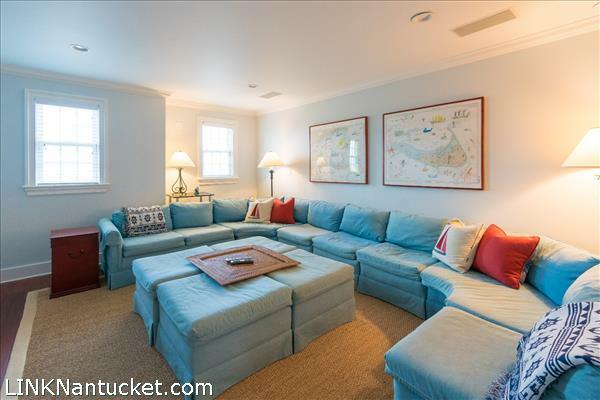 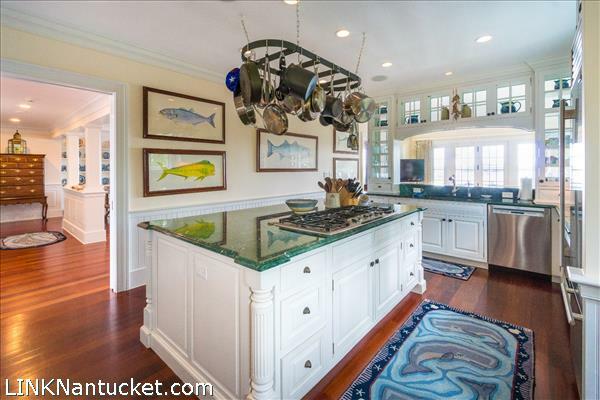 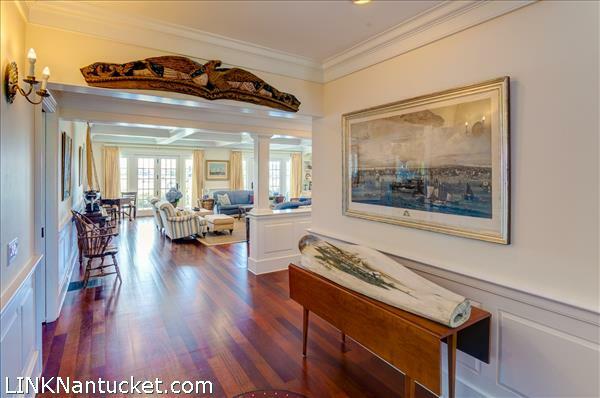 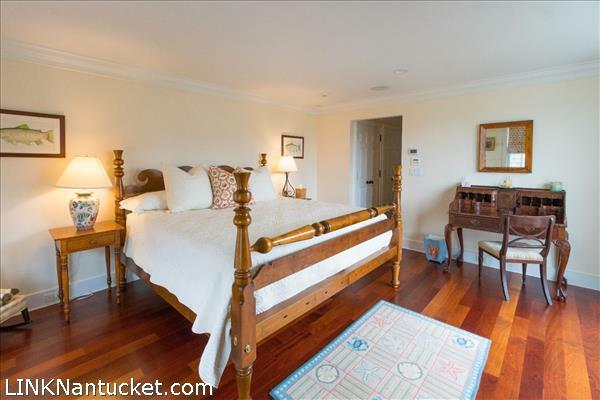 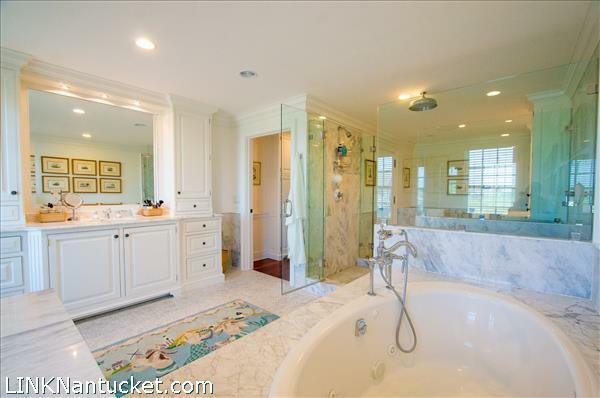 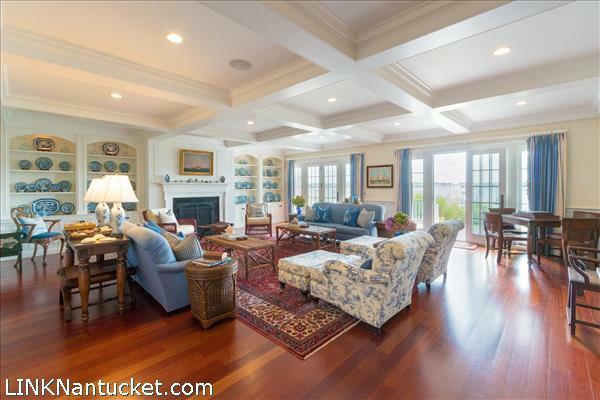 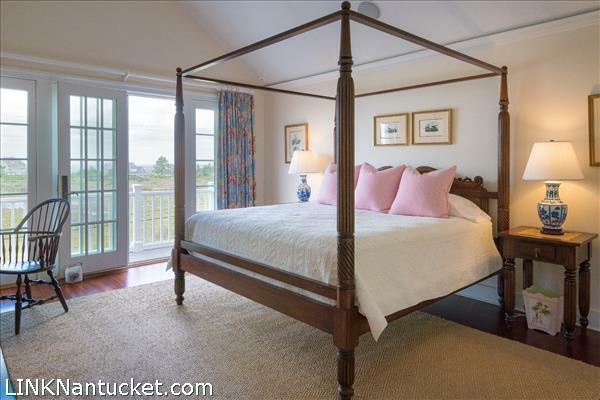 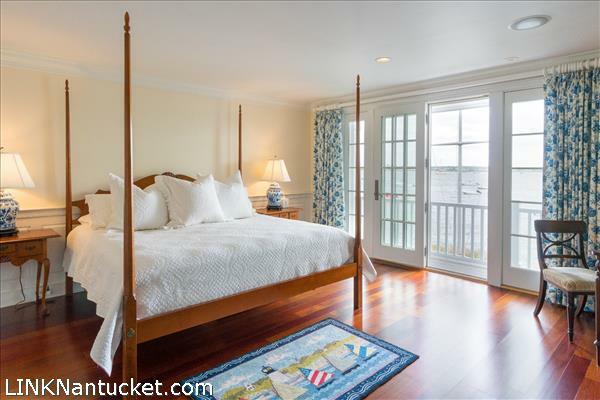 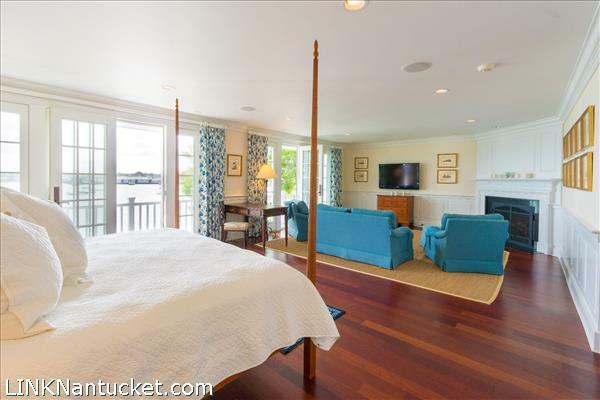 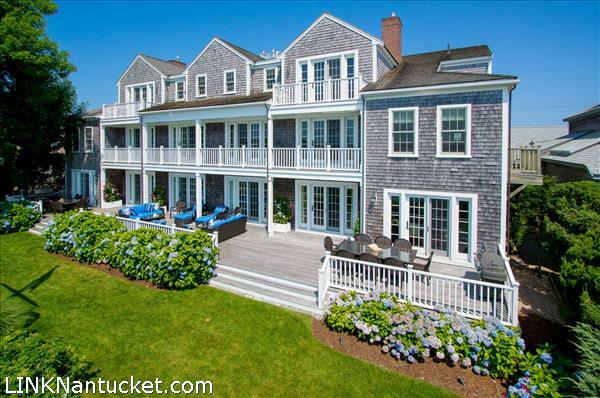 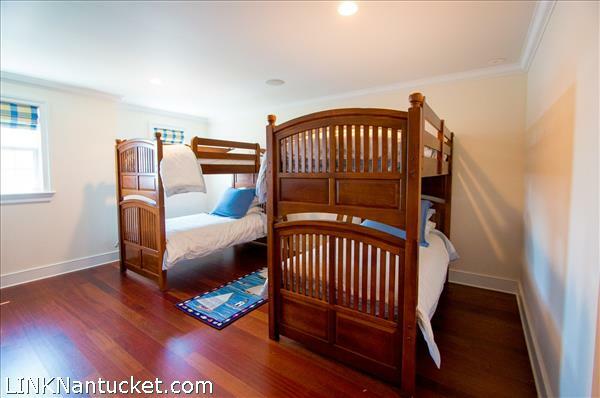 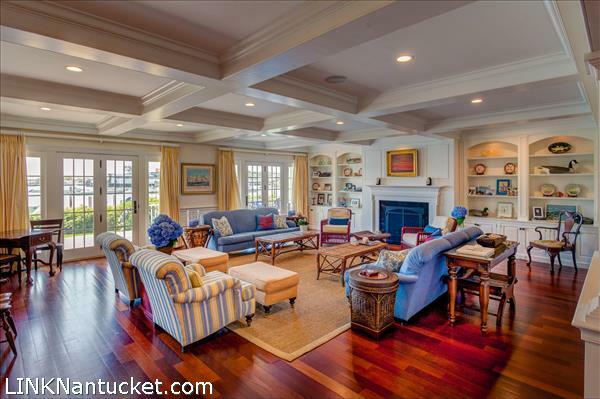 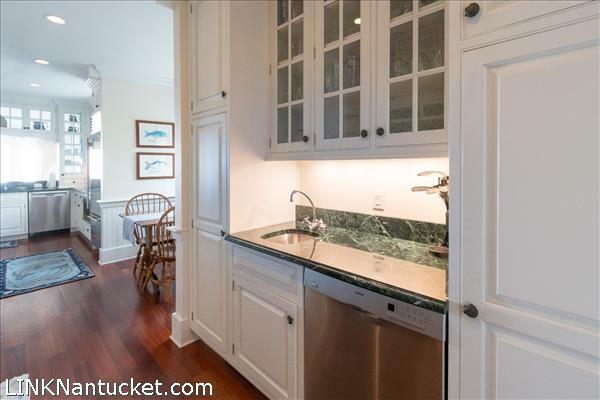 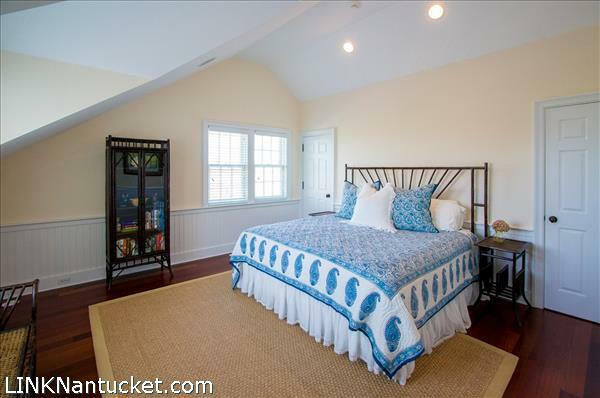 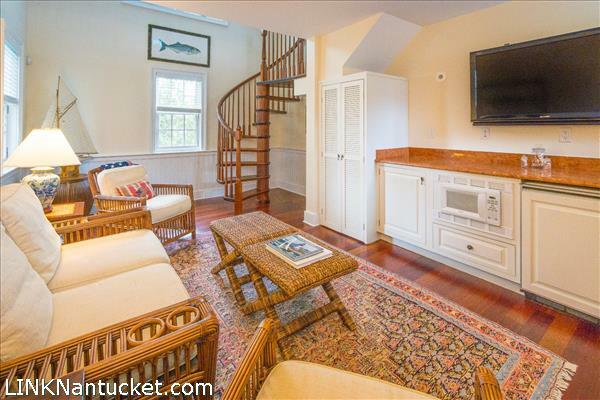 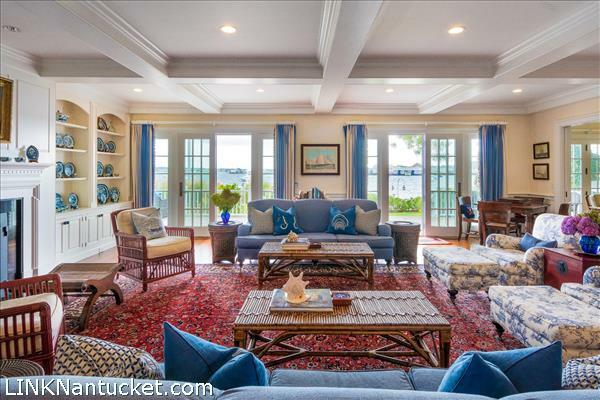 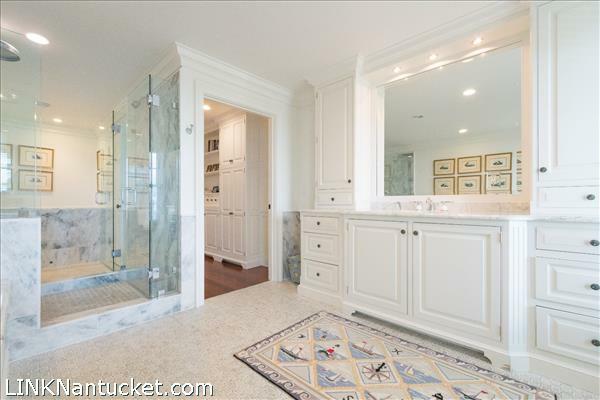 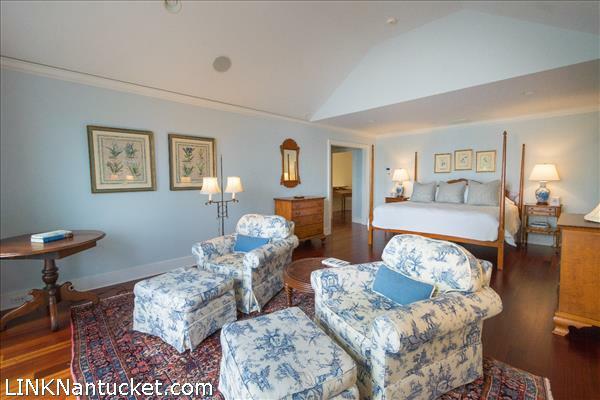 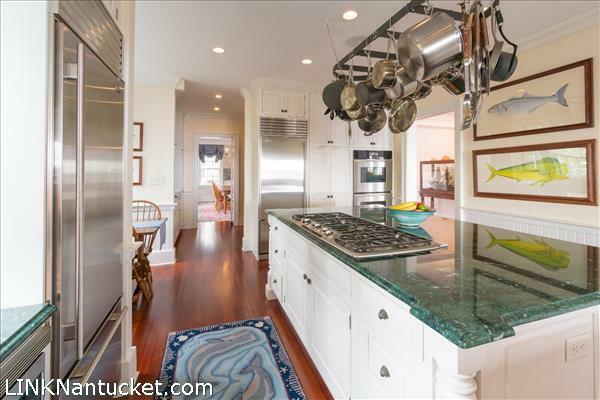 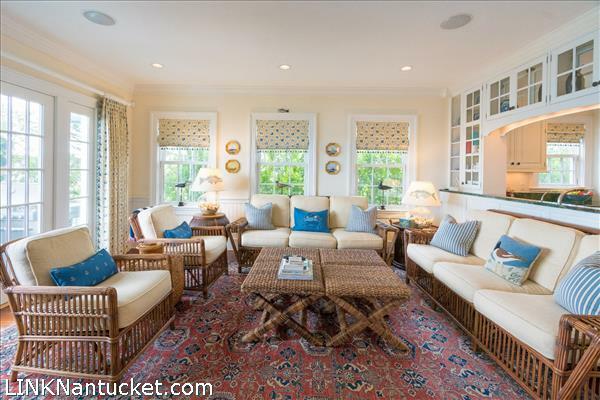 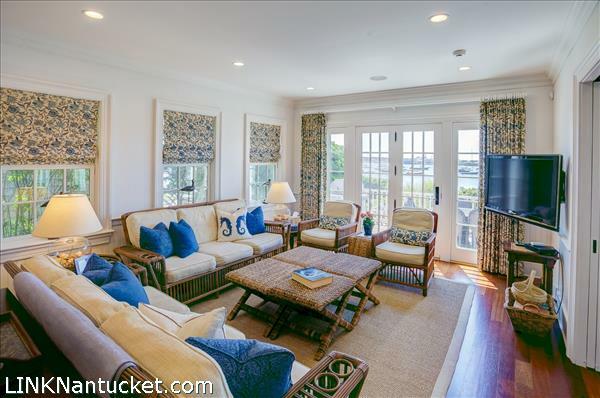 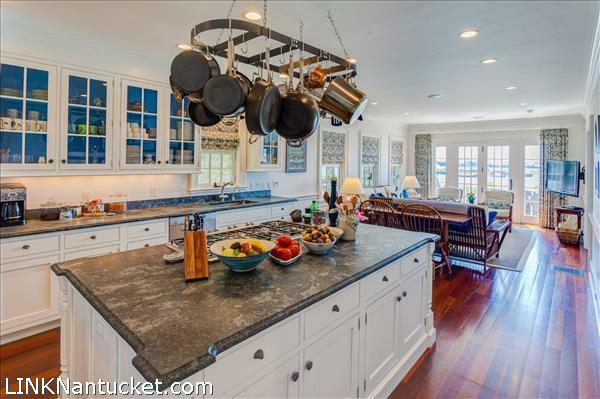 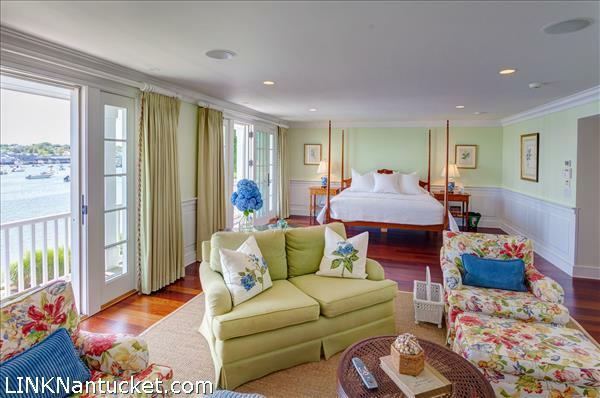 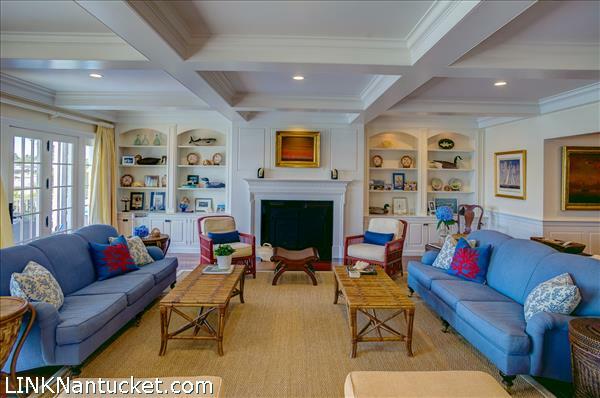 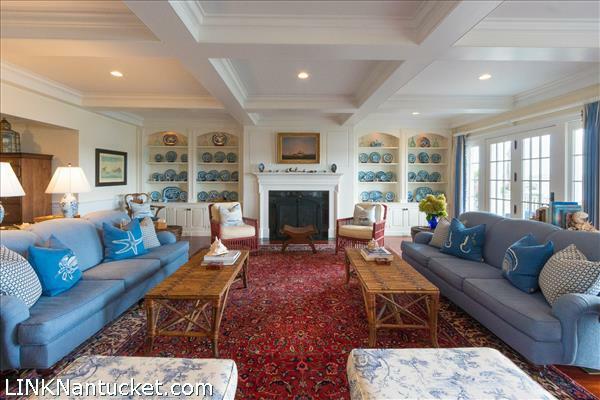 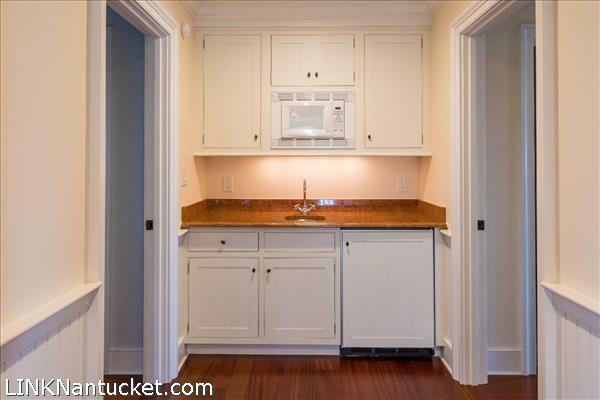 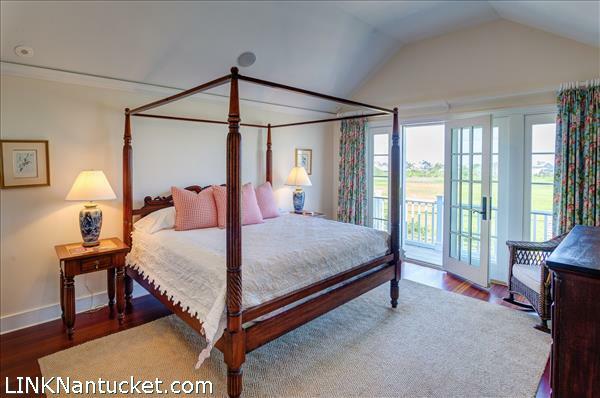 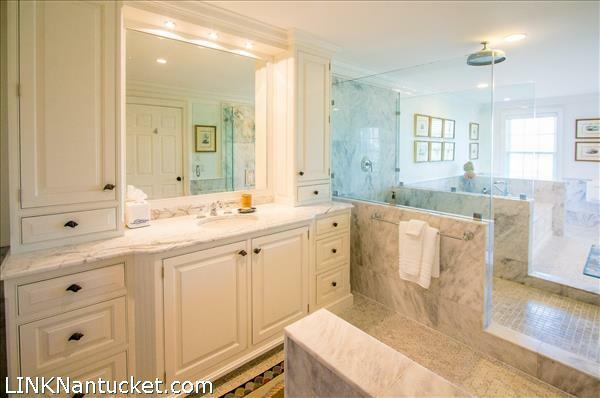 The layout is designed with a Nantucket lifestyle and waterfront living in mind. 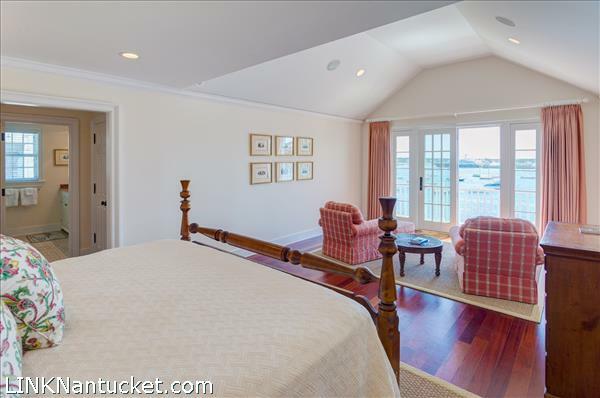 Generous kitchens, living and family rooms, two master suites and 14 generous bedroom suites afford family and friends many welcoming spaces. 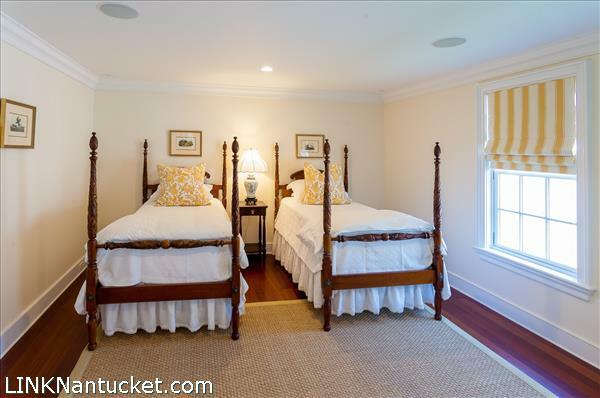 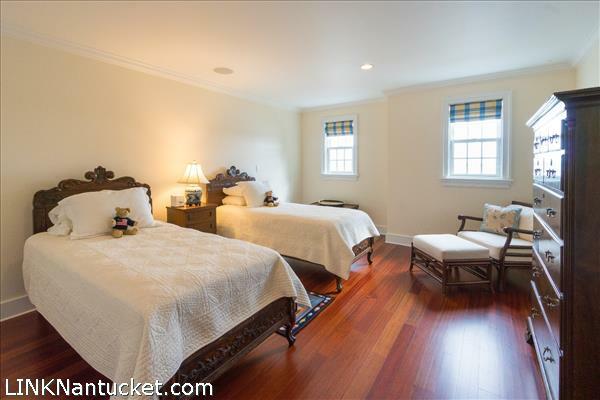 An added bonus are the two carriage houses with guest accommodations and a 1 car garage. 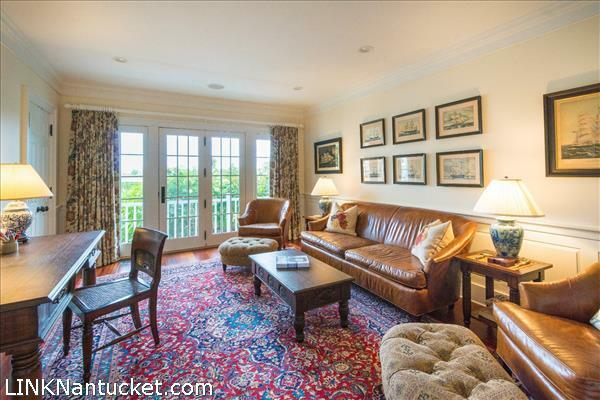 The Breakers brick entry courtyard is another rare coveted space for parking. 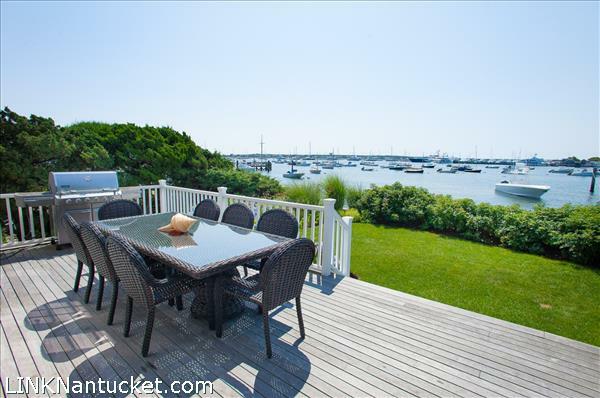 The grounds are further accentuated by stonework, gardens and a small low maintenance manicured lawn. 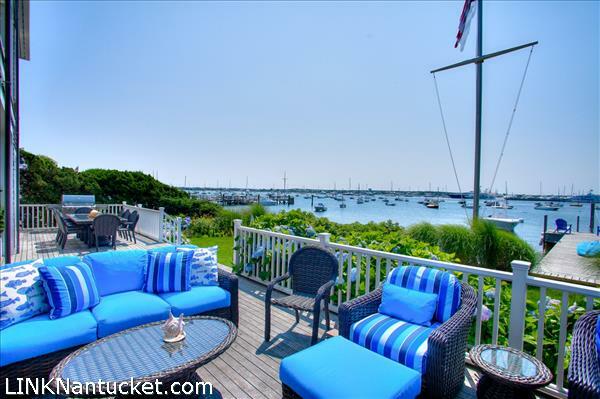 The 50' dock has capacity for 2 boats. 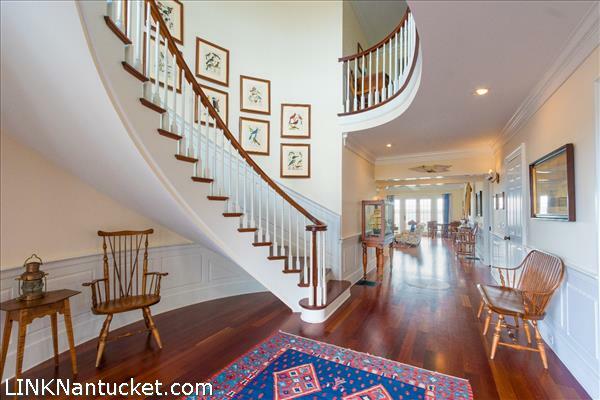 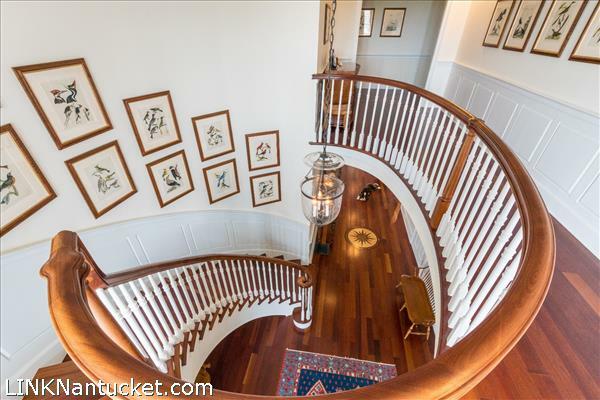 Each side of this unique home opens into a grand foyer with direct views to the harbor. 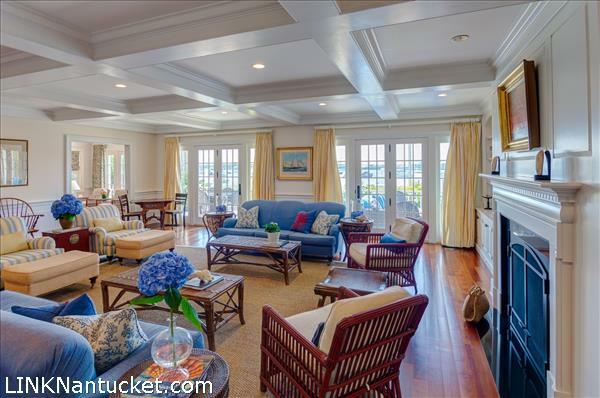 From the foyer, a bright living room with French doors opens onto a spacious harbor front deck with outdoor dining. 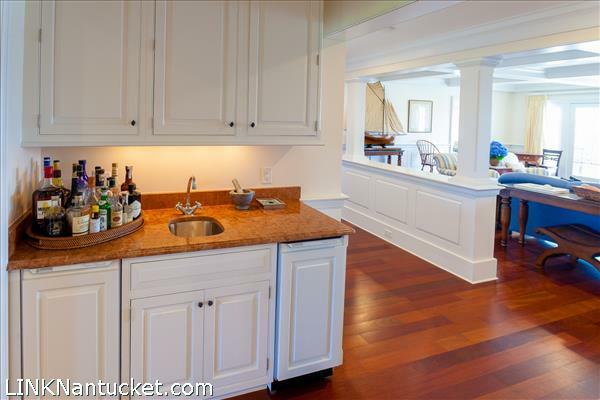 Adjacent to the living room is a large gourmet kitchen and family room with French doors onto the deck. 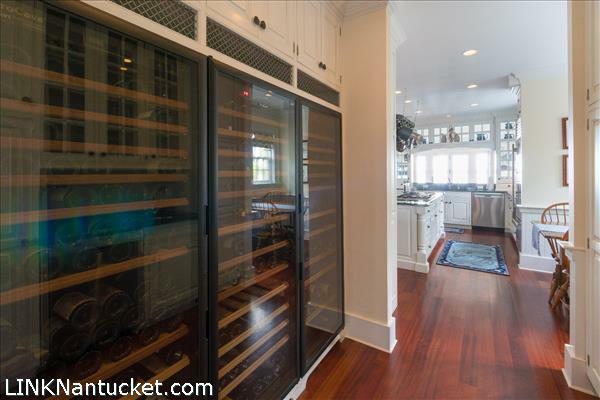 The kitchen includes double refrigerators, double dishwashers, a six-burner gas stove and butler's pantry with three wine refrigerators. 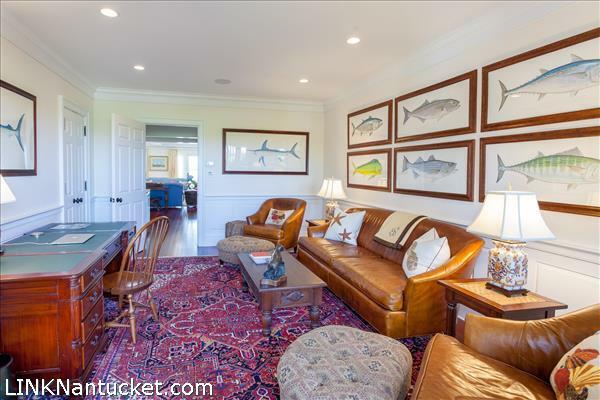 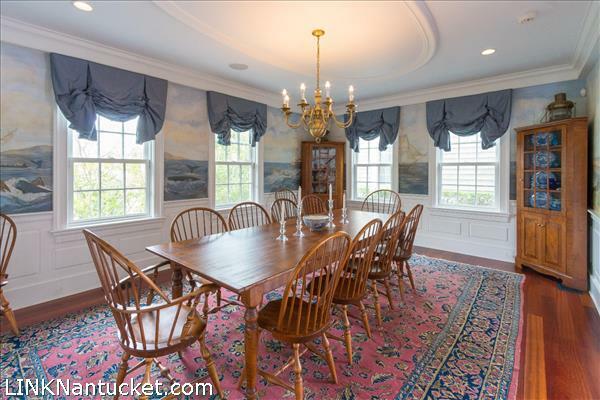 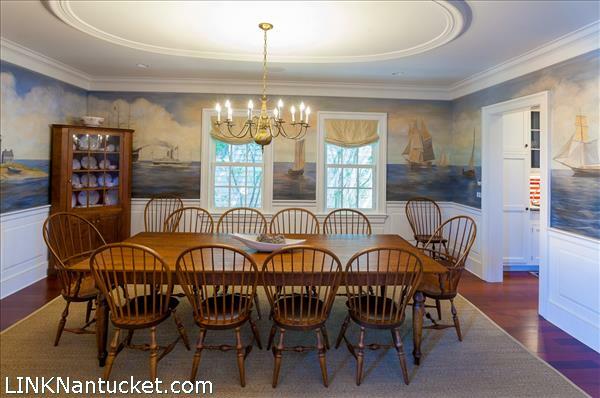 Off the entry foyer, the dining room, with seating for 12+, showcases a beautiful hand painted mural on canvas by Mary Webster depicting early Nantucket history. 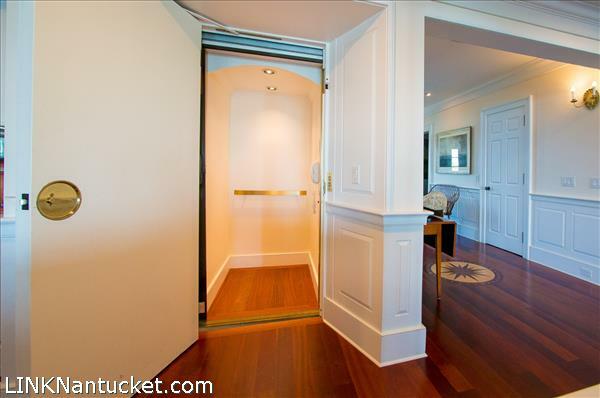 Behind the living room is a spacious office, powder room, wet bar and elevator closet. 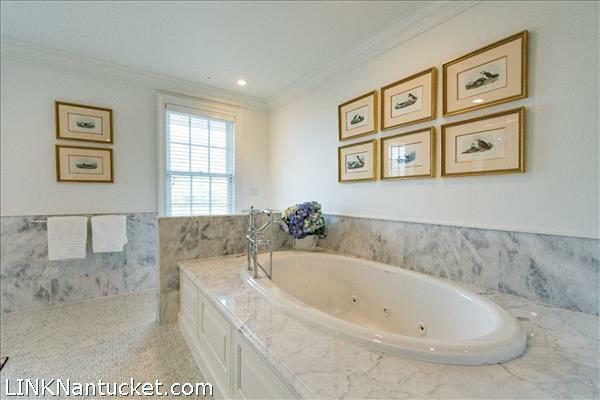 Three additional water suites are located on the third floor. 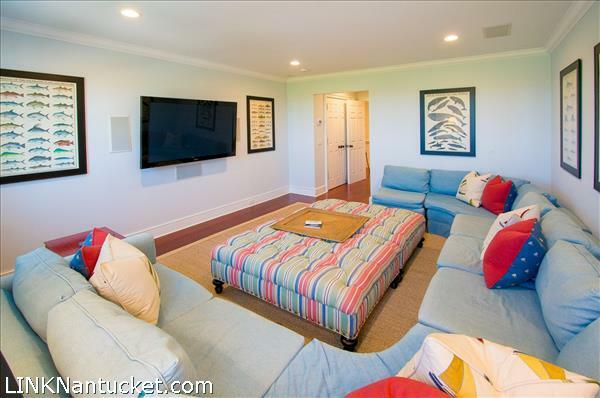 There are convenient morning bars for easy access to provisions, an additional laundry station and a terrific living space with 60" flat screen and full bath. 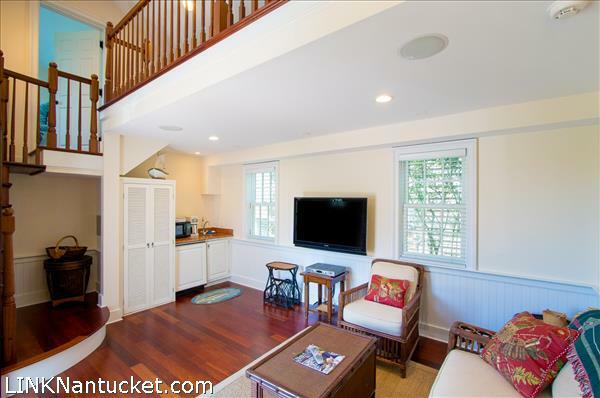 Two detached carriage houses feature living spaces with morning bar, one bedroom and full bath, laundry station and a loft. 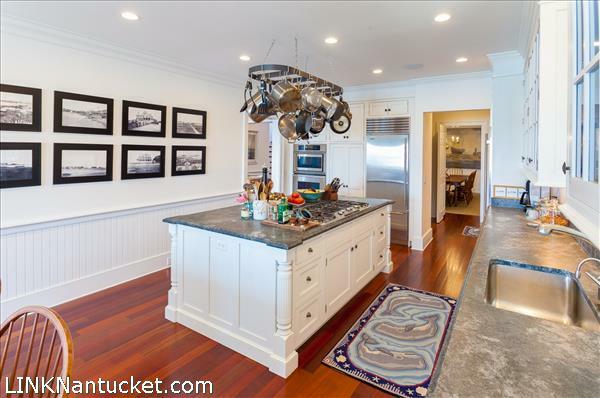 Single car garage attached to carriage house. 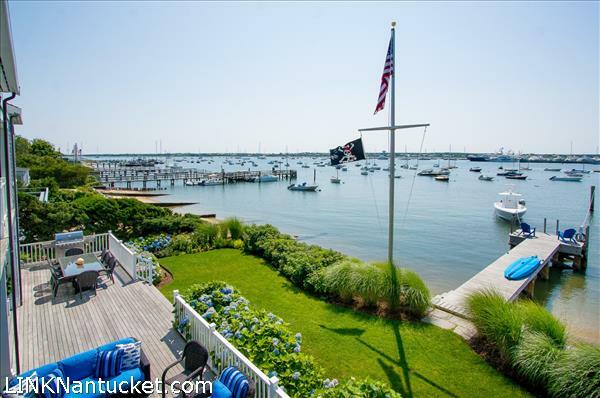 50' dock.